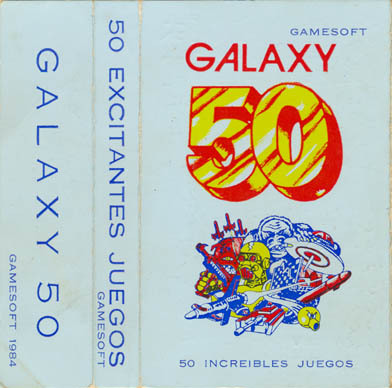 Remarks "50 Games on One Great Cassette"
Noteworthy errors: Motorway (A14) is recorded twice, once as 'MIC' and once as 'MOT'. 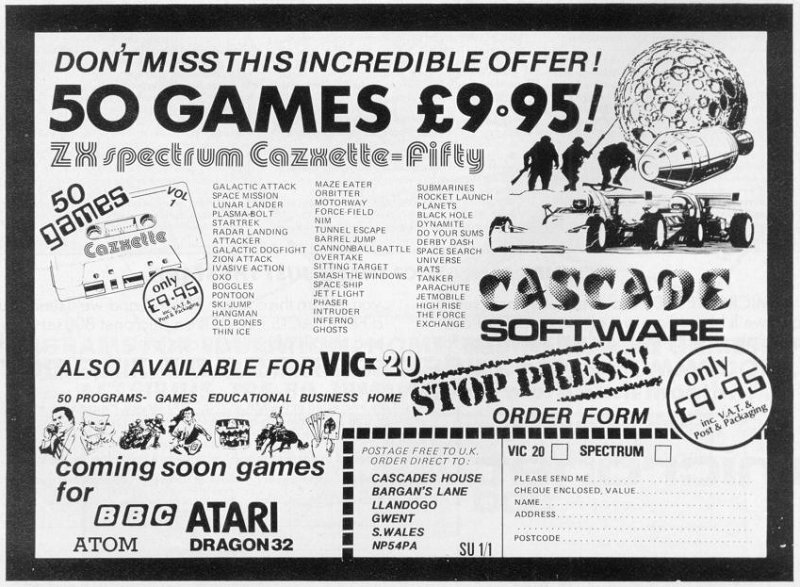 Also, the filename 'MIC' was used twice, once for Microtrap (A13) and once for Motorway. 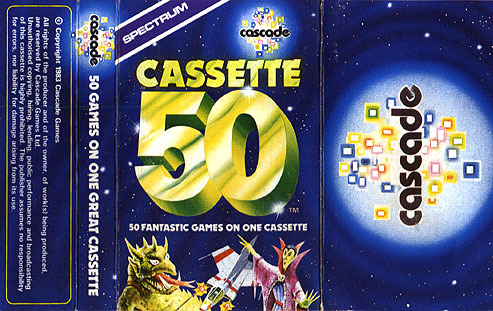 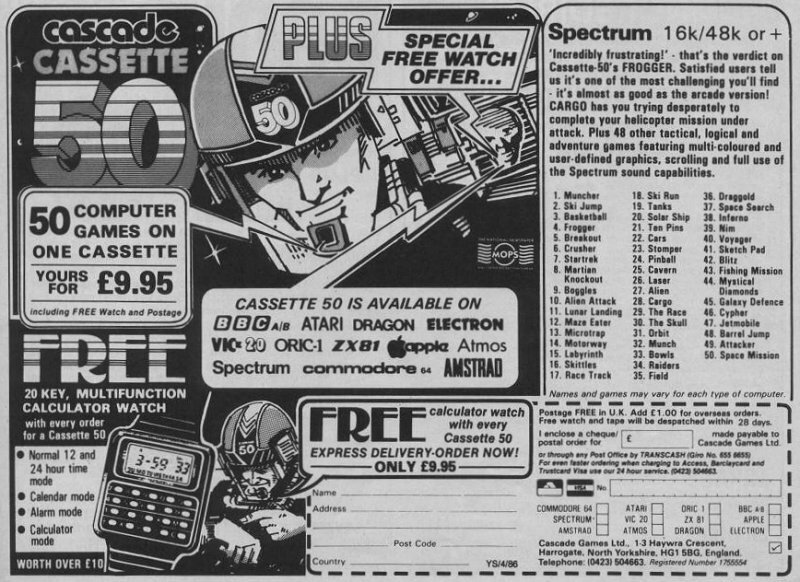 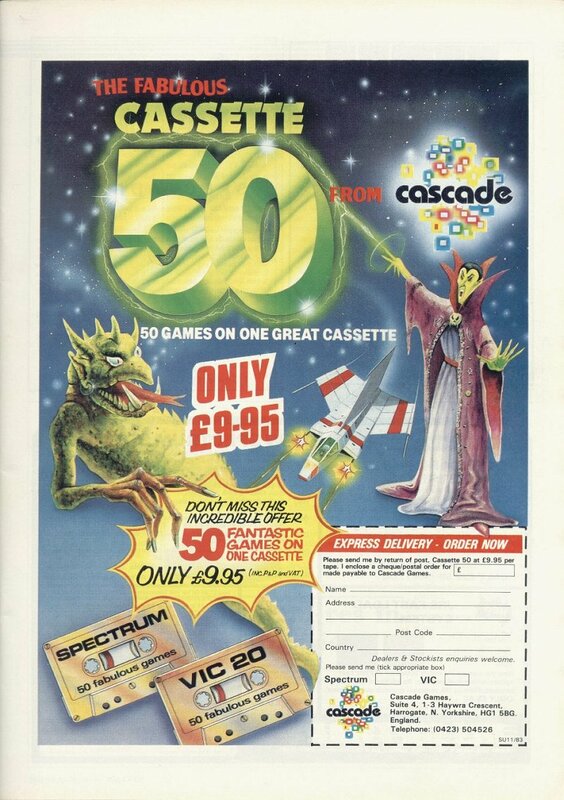 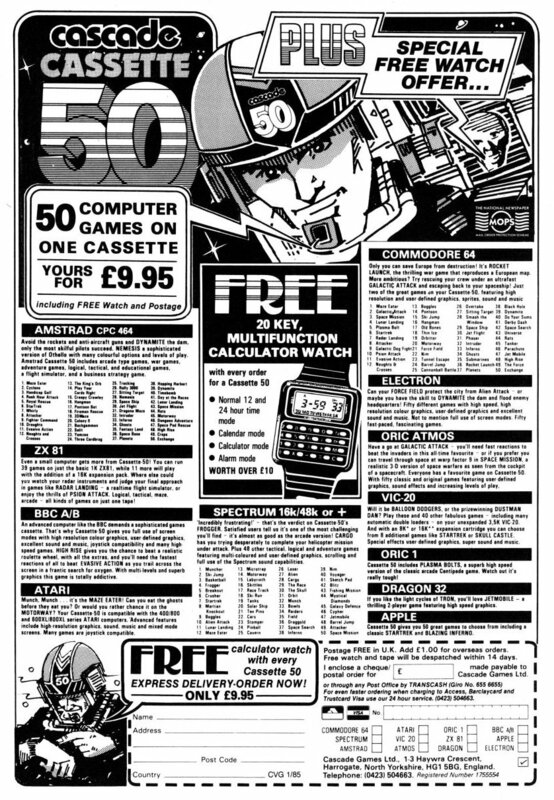 SPOT comments "50 fantastic games on one cassette"